In addition, Ambassador Kirk answered questions and engaged in a discussion on the African Growth and Opportunity Act (AGOA) as well as intellectual property rights. Ambassador Kirk also discussed the importance of enforcing trade laws to level the playing field for American businesses, farmers and ranchers. On Wednesday, Ambassadors Kirk, Sapiro, and Siddiqui will meet with the White House Business Council to discuss ways to support job creation. This week, USTR.gov takes a look at the job-building opportunities within the three pending trade agreements with South Korea, Colombia, and Panama. Don Williams, CEO and founder of Princeton Healthcare, Inc. (PHI), recognized the opportunity to connect American manufacturers of medical technology equipment to international markets. Based in Atlanta, Georgia, PHI is a service firm that provides export and financial advisory services to medical technology equipment manufacturers, and healthcare and hospital organizations. A truly incredible woman. A loving mother, wife and sister. You will be thoroughly missed…. WASHINGTON, D.C. – U.S. Trade Representative Ronald Kirk announced today that the United States will contribute $1.2 million for trade-related technical assistance (TRTA) to the World Trade Organization (WTO). The WTO’s TRTA program provides training for developing countries that enhances their ability to analyze issues, assess their interests and participate effectively in the negotiations and other WTO activities. The program also provides these nations with assistance in meeting their WTO obligations and ensures they fully benefit from the results of being a WTO Member. The U.S. contribution, which was approved by Congress, will be part of a technical assistance fund that developing nations can use for assistance in analyzing issues, assessing individual country interests, and meeting their WTO obligations. This latest contribution will bring total U.S. trade assistance for the Doha Development Agenda to almost $11 million since the launch of negotiations in November 2001. The United States’ contribution to the WTO was appropriated by Congress as part of the funds it provides to the U.S. Department State for voluntary contributions to international organizations. It is just one part of much broader U.S. assistance efforts. Overall U.S. support for trade capacity building (or “aid for trade”) since the Doha Round began in 2001, has now surpassed $11 billion. Ankara, Turkey – This week, Assistant United States Trade Representative for Europe and the Middle East L. Daniel Mullaney and Turkish Deputy Undersecretary of the Ministry of Economy Cemalettin Damlaci co-chaired the eighth annual meeting of the U.S.-Turkey Trade and Investment Council. The Council meets under the auspices of the 1999 bilateral Trade and Investment Framework Agreement (TIFA). During the Council meeting, held on July 13 in Ankara, Turkey, the United States and Turkey pursued various mechanisms for expanding their growing trade and investment relationship, including joint support for small and medium sized exporters, regulatory and intellectual property support for innovative industries, shared priorities in third countries, and deepened ties between the U.S. and Turkish private sectors. They also agreed to a fall inaugural meeting of the U.S.-Turkey Business Council, an important mechanism for ensuring private sector input into increasing trade and investment. The TIFA Council is also a key step in preparations for the second formal meeting, envisioned for later this year, of the U.S.-Turkey Strategic Economic and Commercial Cooperation (FSECC) dialogue. The FSECC was inaugurated in December 2009 by U.S. Trade Representative Ron Kirk and Secretary of Commerce Gary Locke with their Turkish co-chairs, Deputy Prime Minister Ali Babacan and Minister for Economy Zafer Caglayan. Mullaney was accompanied by Deputy Assistant Secretary of Commerce for Europe and Eurasia Juan Verde and other officials from the Office of the United States Trade Representative (USTR) and the Departments of Commerce, Agriculture and State. At the meeting, senior government officials discussed a full range of trade-related issues, including intellectual property rights, steps to enhance the investment climate, biotechnology, pharmaceuticals, and government procurement. Two-way trade (exports plus imports) between the United States and Turkey was valued at $14.8 billion during 2010, representing the U.S.’s 35th largest goods trading relationship. While U.S.-Turkish trade was sharply impacted by the economic downturn in 2009, U.S. exports to Turkey increased by 51.5% to $4 billion in 2010. U.S. imports from Turkey in 2010 were $4.2 billion, up 14.8%.. Leading U.S. exports to Turkey include aircraft, iron, steel, machinery and fabric, in addition to a wide range of agricultural products. Turkey predominantly exports vehicles, machinery, cement, and tobacco to the United States. U.S. foreign direct investment (FDI) in Turkey amounted to $6.3 billion in 2009, mostly concentrated in the wholesale trade and manufacturing sectors, while Turkish FDI in the United States was $218 million in 2007 (latest figures available). On Wednesday, Ambassador Kirk delivered the keynote address at the Coalition of Service Industries Global Services Summit in Washington, DC. Speaking to top policy makers and business leaders from around the world, he described how the Obama Administration’s balanced and ambitious trade policy supports American jobs and enables U.S. service providers to share America’s best services with the rest of the world. Germany has long been a model export nation, successfully demonstrating to the entire world how a country with high cost of labor and very strong currency can consistently remain in the top three places among global exporters. Apparently, Germany has been able to achieve its heavyweight status without even focusing on the fastest growing global markets. Recently, that trend has begun to shift and German industry has focused its attention on China, Japan, Russia and Brazil and begun to view those country as central to its expansion strategy. What this means to the U.S. lawmakers and U.S. exporters is that in order to even stay in the race our country needs to bring its best game. We currently have very favorable currency exchange rate – a huge advantage in helping our country maintain its strong export position. Yet, we also growing competition from China, India and other emerging countries. We have Germany – arguably the top overall exporter in the world, pursuing most lucrative global markets. We cannot afford to slow down free trade agreements, produce goods that are not competitive in the global markets and have policies, which in any way hamper our country’s export capabilities. It is hard enough to compete. Competing with one had tied behind our back, is simply not prudent and fraught with peril. As always, I hope you enjoy the article below and welcome your comments. The Trumpf factory in Taicang, China, which opened in 2009, has already been expanded. DITZINGEN, GERMANY — Germany has long sat at the center of the European economy, but Europe is no longer as central to Germany as it used to be. With large parts of Europe still in an economic rut and struggling to cope with a debt crisis, Germany is increasingly deploying its money and energy outside the euro zone to fuel its robust growth. The shift in focus, while still in its early stages, could have profound economic and political implications because it comes at a critical time when the rest of Europe is counting on Germany to continue its traditional role as the locomotive of the Continent’s economy. German companies, instead of concentrating their investment overwhelmingly on countries like France and Italy, are sending a growing proportion of their euros to places like Poland, Russia, Brazil and especially China, which is already the largest market for Volkswagen and could soon be for Mercedes and BMW. The German government is following suit, committing more diplomatic resources to its growing trade partners, particularly China, whose prime minister, Wen Jiabao, brought an entourage of 13 ministers and 300 managers when he visited Chancellor Angela Merkelof Germany last month. President Dmitri A. Medvedev of Russia brought a similar entourage with him Monday to Hanover for annual German-Russian consultations, including Alexander Medvedev, deputy chief executive of Gazprom. The economic shift is already having important consequences inside Europe. As Germany becomes less dependent on euro zone markets, there are signs that it is becoming stricter with its ailing partners, like Greece, Italy and Portugal, adding to the pressures already straining European unity. German politics are in line with the interests of German businesses like Fresenius, a health care company in Bad Homburg, near Frankfurt. Last year, Fresenius recorded a sales increase in Asia of 20 percent, to €1.3 billion, or $1.8 billion. That compared with its sales in Europe of €6.5 billion, up 8 percent. Fresenius’s chief executive, Mark Schneider, said he expected the trend to continue, noting that China was trying to create a universal health care system that would ensure its people access to kidney dialysis and infusion therapies — the sort of products that Fresenius provides. Germany, of course, remains deeply entwined with the euro zone, which is still its largest source of trade by far. But Western Europe’s share in the German pie is shrinking as companies focus new investment on more vibrant markets. Mr. Lhermitte was one of the directors of a study in May by the firm that looked at trends in cross-border investment around the world. Last year, the euro area’s share of German exports fell to 41 percent from 43 percent in 2008, while Asia’s share rose to 16 percent from 12 percent, according to Bundesbank figures. During the same period, exports to Asia rose by €28 billion, while exports to the euro area fell by the same amount. There are also signs that Germany’s prosperity is no longer helping the rest of Europe the way it did a few years ago. On the contrary, the rest of Europe, particularly its southern half, is falling further behind as the European Union struggles to deal with the sovereign debt crisis. The Italian economy, for example, is no longer cruising in Germany’s slipsteam. “Italy used to produce a lot of goods that would feed the German industrial machine,” said Jens Sondergaard, an economist at Nomura in London. But much of that German business is going to Eastern Europe or elsewhere, where costs are lower and companies are increasingly able to match Italian quality. Indeed, despite the strong German economy, Italian exports to Germany were €3.2 billion lower in 2010 than in 2008. “That is bad news for Italy,” Mr. Sondergaard said. Where Germany puts its money is crucial to the 17-nation euro zone economy. Germany accounts for nearly a third of the euro area’s exports. Germany has a trade surplus so far this year, while France, Italy, Spain and the region as a whole have large deficits. With decades of European economic integration under their belt, German companies still exported much more to France last year than to China — €91 billion compared with €54 billion. But the gap is closing fast. Exports to China rose 44 percent in 2010 compared with a 12 percent increase for France. Mr. Wen, the prime minister, predicted during his visit to Berlin last month that trade with Germany would double within five years. Moreover, in 2009, German manufacturers for the first time invested more in China — €11.6 billion, a 50 percent increase from 2006 — than they did in France, which, along with Italy and Spain, is drawing markedly less German industrial investment than a few years ago. This profound shift is visible at the Trumpf factory complex in Ditzingen, near Stuttgart. Not long ago, Trumpf was considered part of the Mittelstand, the midsize, family-owned engineering companies that power the German economy. But these days, Trumpf is a global powerhouse. From humble prewar beginnings, Trumpf, a maker of machines that use lasers to work metal, has grown to the point where it now employs about 2,000 people in Ditzingen and 6,000 at other locations around the world. That is not counting the robotic lawnmower prowling outside the executive office building — a sign of the scarcity of labor in southwestern Germany, where unemployment is less than 5 percent. There are a number of reasons for Trumpf’s growth from workshop to multinational, but one stands out: China. As at many other German companies, sales to China and other developing markets have made up for declines in traditional export markets that followed the recession in 2009. “In three to five years, China will be our biggest market,” said Mathias Kammüller, a member of the company’s management board and head of the machine-tools division. 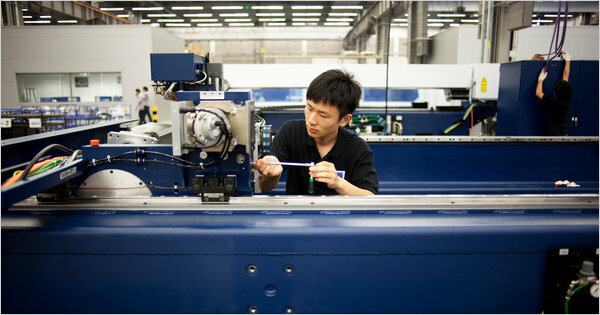 In 2009, Trumpf opened a factory of 15,000 square meters, or 160,000 square feet, in Taicang, near Shanghai. Less than two years later, the company ran out of space and expanded the plant by another 10,000 square meters. There are so many companies from southwestern Germany in that part of China that it is known as Little Swabia, referring to a region of Germany. Trumpf has hired about 450 employees in China, more than half the number it has in the euro area outside of Germany, where by contrast employment has been flat. Trumpf is by no means alone. China is by far the biggest market for Germany’s crucial machine-tool industry, as manufacturers abroad equip their factories with precision technology from Bavaria or the Ruhr Valley. The success of German exports in emerging markets reflects its manufacturers’ strength in making things that go into the kinds of products that a modernizing economy needs, like trains, steel factories, and electronics assembly lines. Another example of a company that has prospered with the rise of emerging markets is Multivac, based in Wolfertschwenden, in southern Germany. The company makes machines for packaging perishable goods, a business that is possible only in countries where food can be kept cool from the factory to store shelves. So Multivac is something of an indicator of the advance of reliable electrical power and rising incomes. Hans-Joachim Boekstegers, the president of Multivac, said he spent 150 days away from home in the last year, visiting new markets like Azerbaijan, Chile and Turkey. Mr. Boekstegers said he still had plenty of business in Europe, even Greece. “People always need to eat,” he said. But that is not where the big growth is found. Even within Europe, there is a shift from west to east, with German manufacturers concentrating more of their investment in countries like Hungary and Slovakia. Germany’s shift toward developing markets has been brewing for a long time, but it accelerated after the 2009 downturn, when Asia recovered much more quickly than Europe or the United States. “In China the crisis lasted only half a year, followed by extreme growth,” said Mr. Kammüller of Trumpf. Germany’s lessening dependence on the euro area economy appears to have given Mrs. Merkel more leeway to be assertive with her European allies, clashing repeatedly, for example, with President Nicolas Sarkozy of France on issues like Greece and Libya. When Mrs. Merkel was first elected chancellor in 2005, she rarely invited German executives to accompany her on trips to China, Russia — or anywhere else, for that matter. Now Mrs. Merkel frequently leads trips abroad, particularly to Asia. At the end of May, she made a three-day trip to India and Singapore, with a retinue of top executives in tow. Mrs. Merkel has used her influence to open doors and help companies deal with the hazards of developing markets, which remain much riskier than Europe. Managers have urged Mrs. Merkel to criticize poor protection of intellectual property rights in China, and she has obliged. At one meeting with German and Chinese executives, she wondered aloud whether parts of a new Volkswagen model had already been counterfeited. But Mrs. Merkel is not just an exponent for German business. She has annoyed executives by criticizing human rights violations by China. German managers were furious with her after she met with the Dalai Lama, the exiled spiritual leader of Tibet, in 2007. Despite threats by the Chinese authorities, there was no major effect on trade, however, and Mrs. Merkel has not said much about Tibet recently. Some analysts warn that Germany is focusing too much on developing markets, and setting itself up for a shock if the Chinese economy slows down. China is also trying to build up its expertise in cars and machinery and become a competitor as well as a customer. Business people are aware of the risk. Judy Dempsey reported from Berlin. First in a series on Germany’s changing role in Europe and the world. July is technology month and this week’s trade spotlight looks at USTR’s protection of American innovation through intellectual property rights (IPR) protection and enforcement in the three pending trade agreements with South Korea, Panama, and Colombia. This week, United States Trade Representative Ron Kirk contributed an op-ed to Crain’s New York Business, explaining how the Obama Administration is working to break down “behind-the-border” trade barriers, increase U.S. exports, boost economic growth for American companies, and support well-paying jobs here at home. See full article of “Overly Restrictive Regulations Effectively Shut Out Producers” that ran in Crain’s. Every $1 billion in new exports of American goods supports more than 6,000 additional jobs here at home. Every billion dollars of services exports supports more than 4,500 jobs. The South Korea, Colombia, and Panama trade agreements will open markets for U.S. firms, increasing trade and exports. Increasing U.S. exports through these agreements will support additional jobs for American workers who produce Made-in-the-USA goods and services. In addition, Trade Adjustment Assistance (TAA) provides training and support for American workers who are negatively affected by trade and is traditionally in place as trade agreements pass. It is designed to help workers, firms, farmers and fishermen transition to alternative employment. The Administration has said that movement forward on the three pending trade agreements must be accompanied by a robust renewal of TAA consistent with the goals of the 2009 law that improved the scope and effectiveness of the program – for instance, covering Americans employed in the services sector in addition to U.S. manufacturing workers. Find information related to the pending trade agreements and Trade Adjustment Assistance here. It’s impossible to get somewhere taking one step forward and two steps back. Strike that, it’s impossible to get somewhere forward and constructive. Yet, more and more it seems like that is what we are doing when on one hand our country is pushing National Export Initiative to double exports and help stimulate the economy yet on the other hand, certain interests in Washington are not only slowing down some key pieces of trade legislation, that would stimulate sales, but through Washington’s inaction they are allowing foreign competition to usurp key markets and cripple the ability of American companies to compete long-term in those markets. On May 29th in my post ” Holding America Hostage” I expressed outrage at the unwillingness and inability of our lawmakers to pass three critically important Free Trade Agreements, which would unlock tremendous economic benefits to our country’s producers and exporters. Since that date, while very little took place in Washington, mostly more hostage holding over a relatively minor retraining TAA amendment renewal. While there has been some small positive steps (the USTR.gov post below describes some very anemic movement of the trade legislature through Congress) nothing constructive has happened since 2006!!!! when one of the Trade Agreements in question has been negotiated. Meanwhile, in the last 30 days both the European Union ratified the Free Trade Agreements and their firms have been swiftly moving into the markets leaving American companies saddled with high tariffs and rapidly losing sales, market share and weakening their competitive positions. It boggles my mind that at a time when our country faces massive economic issues such as a real estate crisis, record federal and state budget deficits, high unemployment, skyrocketing healthcare and education costs to name just a few, our lawmakers manage to squash even those initiatives, which can deliver immediate, clear, measurable and highly tangible benefits to the U.S. economy. The article below provides a very good synopsis of the ongoing situation. As always, I hope you enjoy and welcome your comments. In the competitive world of international business, today’s dawdlers are tomorrow’s roadkill. It’s a lesson the U.S. is learning all over again. A long list of U.S. businesses—from farmers in Montana to machinery makers in Illinois to service providers in New York—have been waiting for Congress to ratify trade deals that would reduce big tariffs in South Korea, Colombia and Panama. The agreements were negotiated with the nations years ago and would give U.S. exporters considerable relief. There was some light at the end of the tunnel in Congress yesterday. But the delays—including a spate of recent ones –—have already taken a toll and could get costlier still. ASSOCIATED PRESS The U.S. sells wheat to Colombia; above, a farmer near Norwich, Kan. While the U.S. continues to debate the agreements, other nations are speeding ahead with their own free-trade pacts with these countries. Last Friday, the European Union’s deal with South Korea went into effect. Next month, Canada’s accord starts with Colombia. That means the competition just got more intense for U.S. companies. Freed from paying tariffs, firms exporting from Canada and the EU can lower the price of their products and grab more market share. 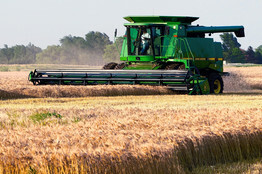 U.S. wheat growers, already feeling the pressure, say flour millers in Colombia like U.S. grain but may switch to Canadian suppliers because of new, favorable prices brought about by the Canada trade deal. From the farm, “we envision $2.5 to $3 billion of additional U.S. agricultural exports, including soybeans, as a result of the three agreements,” says Lorena Alfaro of the American Soybean Association. That’s if they’re ratified. “As long as we delay, we’ll continue to lose market share, especially in Colombia,” she says. Colombia is a good example of what happens when rivals get a tariff advantage. The U.S. and Colombia reached their trade pact in 2006. Colombia is America’s 13th largest export market (if the EU is considered as a bloc), and the Obama administration believes the pact will generate several thousand jobs at home. Since 2006, without ratification, nothing has happened. But competitors moved ahead. The previous year, Mercosur, the South American trading bloc, made its own deal with Colombia and agreed to relax tariffs. Argentina, a big soybean producer, belongs to Mercosur. It has since been savaging U.S. market share in Colombia. Total U.S. soybean exports to Colombia dropped 51% in 2009 from the year before. In 2010, share dropped another 27%. U.S. corn and wheat farmers have been in a similar free fall. Colombia has big coal mines, and Caterpillar sells its large bulldozers and other earth-moving machinery into that market. The current head wind: a tariff of roughly $100,000 on each of the big D-11 bulldozers it makes in East Peoria, Ill., and ships to Colombia. Tariffs on its excavators can range up to $300,000. Caterpillar is dominant in Colombia and is eager to keep that lead, particularly against competitors from Asia— Komatsu of Japan and Chinese companies elbowing into global markets. It believes the trade pact would help cement its position. After the U.S. ratified accords with Chile, Peru and Australia, Caterpillar’s U.S. exports to those countries jumped 300%, 60% and 200% respectively, partly because of the boom in commodity prices but also because tariffs were cut. Caterpillar, Citigroup, WalMart, International Business Machines, Oracle and General Electriclead a group of 1,200 U.S. companies and business organizations pressing for passage of the Colombia pact. The group has posted a “Tariff Ticker” on the U.S. Chamber of Commerce website, tracking the cost since 2006 of not ratifying the agreement: $3.65 billion in tariffs paid to Colombia, and counting. Last week, there were new hitches. Talks broke down in Congress over funding for a retraining program for workers displaced by trade pacts. Some legislators say they won’t vote to ratify the accords without the retraining program in place. Whether the three pacts will fuel or drain jobs in the U.S. has been a point of contention since they were signed. “Such trade deals have contributed to the loss of more than three million manufacturing jobs in the U.S. since 2001,” the AFL-CIO says. Opponents in Congress and elsewhere argue that even though exports from the U.S. may rise, an increase in cheaper imports could hurt businesses and kill jobs at home. Some are concerned that opening more markets abroad will encourage U.S. companies to move operations overseas and outsource more work. And others believe there are inadequate worker protections in Colombia. It’s been a lengthy debate. Yesterday, the machinery clicked forward a notch: Congress made headway in considering draft bills for implementing the three agreements. There’s still no compromise on funding the retraining program, and it’s unclear whether that will further delay a ratification vote. On Thursday, at the University Club of Washington, Princeton Council on World Affairs (www.princetoncouncil.org) hosted second event of its “Is Your Business Fluent In Foreign?” series. The event included a comprehensive presentation by panel of distinguished international experts from the U.S. Government and private sector. Topics covered subjects of Political Risk Insurance (PRI), International Dispute Resolution, Foreign Corrupt Practices Act (FCPA), financing international trade and investment using U.S. Ex-Im, or Overseas Private Investment Corporation (OPIC) programs, working with the U.S. Trade and Development Agency (USTDA) and Private Public Collaborative Alliances in sports and education. Washington, D.C. – To resolve the dispute over cross-border trucking between the United States and Mexico, today the U.S. Transportation Secretary Ray LaHood and Mexican Secretary of Communication and Transportation Dionisio Arturo Pérez-Jácome Friscione signed a Memorandum of Understanding on Cross-Border Motor Trucking (MOU). U.S. Trade Representative Ron Kirk then announced that on July 8 Mexico is expected to reduce fifty percent of its retaliatory duties on goods exported from the United States. The MOU was signed today in Mexico City and is available here. The agreement on Lifting of Retaliatory Measures signed June 10 by the Office of the United States Trade Representative and the Government of Mexico’s Department of the Economy can be viewed here. It provides that Mexico will suspend 50 percent of the retaliatory tariffs within ten days of the signing of the MOU between the U.S. Department of Transportation and the Government of Mexico’s Department of Communication and Transportation. Thereafter, Mexico will suspend the remainder of the tariffs within five days of the first Mexican trucking company receiving its authority to operate in the U.S. As a result, Mexican tariffs that now range from five to 25 percent on an array of U.S. products such as apples, certain pork products, and personal care goods will be immediately cut in half and will disappear entirely within a few months when the program is fully implemented. Washington, D.C. – Today, USTR Chief Agricultural Negotiator Isi Siddiqui and United States Department of Agriculture Acting Under Secretary Michael Scuse issued the following joint statement regarding the Codex Alimentarius Commission (CAC)’s failure to advance the adoption of science-based standards for Ractopamine, a feed additive used to promote leanness in pork and beef. The decision came during the 34th Session of the Codex Alimentatrius Commission, of which 136 member countries were in attendance. Codex is the recognized international food safety science standard setting organization founded under the WTO SPS Agreement. “We are extremely disappointed in the inability of Codex to reach consensus based on the volumes of scientific evidence presented to support international maximum residue limits on ractopamine. Political considerations should not cloud the decisions of an internationally recognized food safety authority. Today’s inaction is a set-back for CODEX, science and fair trade. “The safety of ractopamine has been confirmed three times by Codex’s own panel of international scientists. The United States and a broad array of Codex members in Africa, Asia, Latin America, and the Pacific Islands supported the adoption of the standard, but other members blocked advancement due to non-science questions outside the mandate of Codex. This is the fourth year that some member countries allowed non-scientific factors to cloud decision-making. “Many countries, particularly those without resources to conduct their own scientific assessments, rely on Codex standards to inform their national safety standards related to production and imports of food. Failure to adopt science-based standards deprives them of this important tool. Washington, D.C. – U.S. Trade Representative Ron Kirk announced today that a World Trade Organization (WTO) dispute settlement panel has agreed with the United States, finding that export restraints imposed by China on several important industrial raw materials are inconsistent with China’s WTO obligations. China’s actions were not justified as conservation measures, environmental protection measures, or short supply measures. The raw materials at issue include various forms of bauxite, coke, fluorspar, magnesium, manganese, silicon carbide, silicon metal, yellow phosphorus, and zinc, and are used in a multitude of downstream applications in the steel, aluminum and chemicals industries. The export restraints challenged in this dispute include export quotas and export duties, as well as related minimum export price, export licensing, and export quota administration requirements. These types of export restraints can skew the playing field against the United States and other countries in the production and export of numerous processed steel, aluminum and chemical products and a wide range of further processed products. The export restraints can artificially increase world prices for these raw material inputs while artificially lowering prices for Chinese producers. This enables China’s domestic downstream producers to produce lower-priced products from the raw materials and thereby creates significant advantages for China’s producers when competing against U.S. and other producers both in China’s market and other countries’ markets. The export restraints can also create substantial pressure on foreign downstream producers to move their operations and, as a result, their technologies to China. The Administration is making available to the House Ways and Means Committee legislative language that renews Trade Adjustment Assistance, along with measures to implement the U.S.-South Korea trade agreement, as well as implementing legislation for trade agreements with Colombia and Panama. Please be advised that the Government of Mexico has posted official notice that beginning tomorrow it will reduce by fifty percent retaliatory duties levied on exports from the U.S. The notice may be read in Spanish here. Additional background on cross-border trucking may be found here. Yesterday, the United States took a day to celebrate our history and culture. This week, USTR.gov takes a look at how some of our favorite home-grown American foods are shared with the world through exports. Families all across the nation came together on the Fourth of July to celebrate not only our independence but our culture as well; through the clothes we wore, the songs we sang, and specifically the food we ate. As a result of agricultural exports, your Independence Day picnic table staples can be found in kitchens across the world every day. Here’s a sampling of Fourth favorites and how consumers throughout the world enjoy American-grown food. PRINCETON COUNCIL ON WORLD AFFAIRS ( www.princetoncouncil.org ) held a very successful and well attended “Is your business Fluent In Foreign?” seminar and networking event et the New York Athletic Club last Thursday. VIP Guests included First Vice Prime Minister of Georgia, Deputy Chief Mission of the Georgian Embassy in the United States, along with the Consul General of the Ukraine in New York and several members of the Diplomatic corps. Guests also included prominent business people, attorneys and financial professionals. Alexander Gordin’s admonition (“The U.S. must think all exports, all the time”) may sound like a tag line for a marketing campaign. But it’s far more than that. It relates to the economic survival of the United States. Gordin – explains why. Tsunami and earthquake in Japan, armed rebellion in Libya, civil unrest in Egypt, Yemen and Tunisia – these calamities impact millions and occur just as the United States struggles to overcome the most severe economic contraction in recent memory. For U.S. businesses to rebuild and thrive, they must take advantages of new opportunities often found under their noses. Opportunities for growth of export of services and manufactured goods have been woefully neglected, yet they are a well-established and effective way of rejuvenating economic health. About a year ago, President Obama unveiled an export initiative that called for the doubling of our country’s exports in five years. This initiative has already shown early signs of resounding success despite a disturbing figure from the Small Business Administration: only one percent of all U.S. companies currently export. Let’s look at some figures. In 2010 the total American exports of goods and services was $1.834 trillion – $1.289 trillion in products, $545 billion in services. Those numbers represent an impressive growth of 21 percent and 8.6 percent respectively over the previous 12-month period. Financing of exports also grew significantly, with the Export-Import Bank of the United States (U.S. Exim), the Federal agency charged with financing U.S. made goods and services exported out of the country, having completed a record fiscal year. The U.S. Exim financed $24.5 billion, an 11.7-percent increase over 2009, which had been a record year. Those numbers are on track to hit the President’s goal of doubling U.S. exports by 2014. But more must be done. Although the recovery is projected to continue for the next several years and the U.S. dollar is likely to remain low for some time – which is a stimulus for others to buy our goods and services – our country will not be among the global export leaders, as measured by the percentage of total exports to GDP. Instead, we will need to fight for a greater market share among the world’s exporters. The way I see it, the United States must make cardinal changes, not only to how we think about exporting but also to our basic approach. We must make exports a strategic priority to our nation’s businesses, learning to approach exports more strategically and cultivating exporters as a recognized part of our economic landscape. Education – The United States must establish an educational system where exports and international business are taught not as a byproduct, but as a core economic discipline at all levels starting with middle school. In our country talented people who shape industries and professions such as science, sports, music, law, art and architecture are allowed to develop their skills, starting early in childhood. Existing infrastructure helps weed out both promising and weak candidates. In sports, farm team systems exist and thousands of hours are invested in training and practice. Commitment by families, coaches and teachers to produce a travel team athlete or a budding marching band member often borders on fanatical. Debate teams exist to shape lawyers, and terrific science camps and competitions exist to spur innovation and identify our best and brightest scientific minds. We identify stars in these fields by training and preparing millions of students who are better prepared to succeed in certain aspects of life. Yet, when it comes to exporters with potential to create long-term financially rewarding benefits that will produce for decades, we simply leave things to chance. We offer our support late in the game, after mistakes have been made. As a nation, we do offer export advice and some training, but we don’t cultivate exporters through intensive training or formal education. Also, we have no system for measuring and standardizing the quality of export organizations. If we are to succeed in exports, education is key. Enhanced Export Infrastructure – To stand a chance at reaffirming our global position, we must refine and enhance our export infrastructure to better focus our formidable resources on assisting and preparing promising companies to export effectively. We must seriously consider expanding the reach of small federal agencies such as the U.S. Trade and Development Agency (USTDA), which delivers $47 in exports for every dollar it spends in funding project feasibility studies and reverse trade missions. We should explore leveraging government resources with Private Public Partnerships, wherein selected private non-profits are charged by U.S. government agencies with developing and funding nothing but export-related projects, transactions and initiatives. We must involve more banks and private finance companies in funding exports. Currently, only a handful of large banks finance export transactions guaranteed by the U.S. government through the U.S. Exim Bank. Increased National Focus on Exports – Exports must become an important part of our national focus, on par with issues such as healthcare, housing, real estate and education. Media reporting and advertising, direct outreach by the U.S. Government and NGOs, grass roots outreach, union outreach – in short, every possible opportunity – should be utilized to preach the economic benefits and need for exports. This should be done not only during bad economic times when our domestic output shrinks, but at all times, on a consistent and sustainable basis. If asked to name the top three initiatives that are going to improve our economy, the majority of Americans should be able to name exports as one of them. “Securities” Market Approach to Exports – To attain the next level of economic growth, the U.S. export machine might have to borrow some pointers from the way the securities industry is structured. Specifically, I refer to information and analysis, which provide almost real-time updates as to how changes in the world affect given securities, alter opportunities and highlight changing risks. Think about how well our export industry could be served if, for example, in the wake of Japan’s nuclear crisis, an export analyst covering the nuclear sector could highlight new opportunities to U.S. exporters for the sudden need of containment materials. Export opportunities opened up, as Japan called on Ukraine nuclear specialists after the devastating tsunami. But these specialists in Ukraine did not have the necessary equipment, worth tens or hundreds of millions of dollars, to effectively provide services to the Japanese. American providers of these required goods needed a way to quickly be apprised of the opportunities. Another example of coverage would be a broader dissemination of pending project opportunities, which have export potential, such as those developed with USTDA’s funding. Overseas Private Investment Corporation or private developers could reveal export opportunities to U.S. providers of goods and services early, thereby allowing them the chance to respond quicker. Having an actionable analytical/informational platform for the industry vs. the current platform for reporting past deals and transactions will provide a strong forward-looking base of transaction flows for U.S. exporters. Such a “securities type” platform can be developed on the basis of information from banks and insurance companies currently financing exports, EMCs (export management companies) and independent private analytical services. Self-policing and self-regulation should probably be the model for such a platform. Yet regardless of the model, the need for immediate and current information and analysis is critical to help exporters in their decision-making and business development. As a nation trying to combat economic conundrum and to rebuild its prosperity, the United States has started on the correct path to growing its exports. With improved education of exporters, enhanced export infrastructure, increased focus on exports as a national priority, and the addition of a forward-looking information and analytical platform to aid exporters in growing their business, the country is certain to secure its rightful place among the leading exporter nations in the world. In advance of a “mock markup” of three bills on pending trade agreements in the Senate Finance Committee, please find here a handy index of links to key information on the U.S.-Korea, U.S.-Colombia, and U.S.-Panama trade pacts, as well as on Trade Adjustment Assistance and expired trade preference programs. BEIJING – Senior U.S. trade officials today encouraged China to open more markets for American goods and services and make progress on other priority trade issues at the annual Mid-Year Review Meeting for the U.S.-China Joint Commission on Commerce and Trade (JCCT). The two governments also took stock of their trade and investment relationship, and identified key policy concerns in preparation for the 2011 JCCT plenary meeting which will be hosted by China later this year. Under Secretary of Commerce for International Trade Francisco Sánchez and Assistant United States Trade Representative Claire Reade co-chaired the meeting with Chinese Vice Minister of Commerce Wang Chao. While in Beijing, Sánchez and Reade also participated in a roundtable with American companies focused on opportunities for U.S. technologies in the development of China’s smart grid. In 2010, China was the United States’ third-largest export market and remains a critical destination for U.S. manufactured goods and services. The JCCT, established in 1983, is the main forum for addressing bilateral trade matters and promoting commercial opportunities between the United States and China. Washington, D.C. – United States Trade Representative Ron Kirk today welcomed the scheduling by Senate Finance Committee Chairman Max Baucus (D-Mont.) of informal or “mock” markups for three separate implementing bills for pending trade agreements between the United States and South Korea, between the United States and Colombia, and between the United States and Panama. Kirk also welcomed the inclusion of a robust renewal of Trade Adjustment Assistance (TAA) in the implementing bill for the U.S.-South Korea trade agreement, and measures renewing expired trade preference programs in the implementing bill for the U.S.-Colombia trade agreement. In 2010 and 2011, the Obama Administration worked with South Korea, Colombia, and Panama to successfully address outstanding issues related to each of the three agreements. In particular, the Administration secured: greater U.S. access to the South Korean auto market; enhanced tax transparency and labor rights in Panama; and significantly increased labor rights and protections in Colombia. The Administration has been clear that ratified agreements will only enter into force if trading partners are meeting their commitments; for instance, Colombia must successfully implement key elements of the agreed Action Plan Related to Labor Rights before the U.S.-Colombia trade agreement will enter into force. Colombia has already met the milestones of the Action Plan that were slated for completion by June 15, 2011. TAA provides training and support for American workers who are negatively affected by trade and is traditionally in place as trade agreements pass. It is designed to help workers, firms, farmers and fishermen transition to alternative employment. The Administration has said that movement forward on the three pending FTAs must be accompanied by a robust renewal of TAA consistent with the goals of the 2009 law that improved the scope and effectiveness of the program – for instance, covering Americans employed in the services sector in addition to U.S. manufacturing workers. The Generalized System of Preferences and the Andean Trade Preferences Act expired in December 2010 and February 2011, respectively. 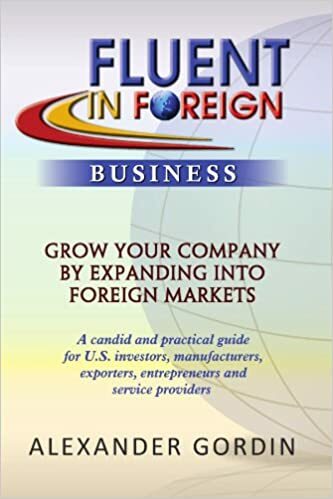 These programs are designed to promote economic growth in the developing world by providing preferential duty-free entry for products from designated beneficiary countries and territories; they also support American jobs and improve American competitiveness since many American businesses use imports under these programs as inputs to manufacture goods in the United States. The “mock markup” is an informal step traditionally taken by Congressional committees with jurisdiction over trade policy before formally considering legislation to implement a pending trade agreement. Committee members convene a public committee meeting to review the draft implementing bill for the agreement and to consider amendments. The protection afforded to a trade agreement under Trade Promotion Authority – which applies in the case of the Korea, Panama, and Colombia agreements – means that Congress may not amend the formal implementing bill the President submits, but proposed amendments approved at informal markups are considered by the Administration before the President submits the final implementing bill for each pact. Once legislation is formally submitted, each chamber of Congress has a prescribed period of time in which to hold an up-or-down vote on the trade agreement in question. WASHINGTON, D.C. – The United States and its TPP partners – Australia, Brunei Darussalam, Chile, Malaysia, New Zealand, Peru, Singapore, and Vietnam – concluded the seventh round of negotiations today in Ho Chi Minh City, Vietnam, making further step-by-step progress toward their goal of reaching the outlines of an ambitious, 21st century agreement by the APEC Leaders’ meeting in November. As at the previous round in Singapore, the TPP countries extended the length of the round in Vietnam to ensure the teams had sufficient time to make meaningful progress in all areas of the negotiation. The additional time was helpful in producing the good progress that was achieved in further developing the detailed legal texts of the agreement, which encompass all areas of their commercial relationships. During the week, the countries reviewed new proposals that the United States and other TPP countries tabled this round; including on intellectual property, transparency, telecommunications, customs, environment; and advanced their efforts to consolidate the various proposals that the countries put forward in previous rounds. They also sought to further clarify their understanding of each other’s positions and continued the rigorous process of finding mutually-acceptable ways to address the specific sensitivities of each country. Pamela G. Bailey is the President & Chief Executive Officer of the Grocery Manufacturers Association. She is also a member of President Obama’s Advisory Committee for Trade Policy and Negotiations. Pamela shares how American agriculture exports support American jobs, both on and the farm. Organizations and associations from across the country are applauding the Senate Finance Committee’s announcement yesterday to hold a “mock markup” of pending trade agreements with South Korea, Colombia, and Panama. Calling for swift passage of the trade pacts in order to support America’s economic recovery and job growth, many of these key stakeholders are also reiterating support for an agreement that includes Trade Adjustment Assistance (TAA) and expired trade preference programs. Here is a sampling of what they are saying. Today, an op-ed in The Hill from United States Trade Representative Ron Kirk and Secretary of Labor Hilda Solis explains the importance of Trade Adjustment Assistance to America’s working families – and dispels some common myths about the program. Click here to read online or, read below. Recently, Assistant U.S. Trade Representative for Textiles and Apparel Gail Strickler traveled to Haiti to participate in the Haiti Buyer’s Forum, and to promote the United States’ “Plus 1 for Haiti” trade preference program. This week’s trade spotlight follows-up on the Plus 1 program.